Everyone wants their business to appear at the top of the Google search results. However, most business owners don’t have the first clue about what it takes to achieve this. 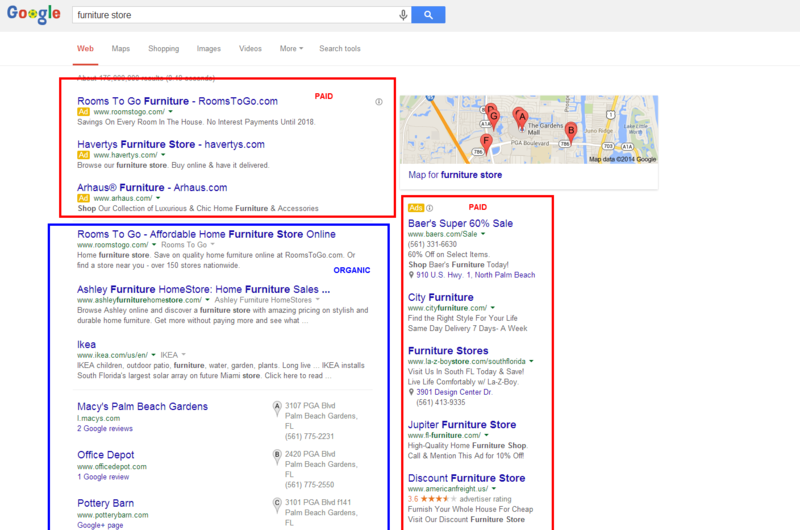 Google results are broken up into 2 sections – paid and organic. The most important part to recognize is there is no quick and easy way to get to the top of the organic (free) results – unless you want to risk getting penalized. It takes considerable planning, time, and effort. Moz offers a comprehensive introduction to SEO, but for the sake of simplicity, here are the fundamentals you should understand. 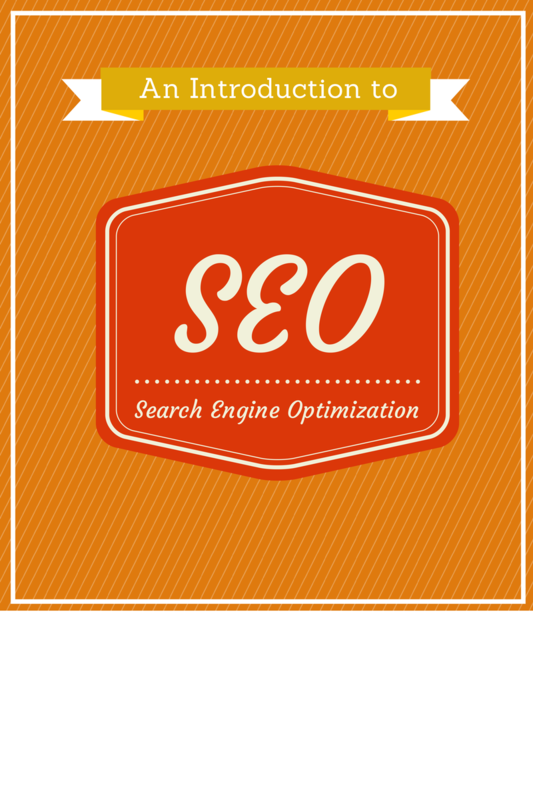 Building a SEO strategy starts with selecting good target keywords. It’s important to make sure your keywords are highly relevant, not overly broad (as those will be more difficult to compete for), but popular enough that there is some interest in the terms. Tip: If you have existing traffic to your site, examine your analytics to find out how your visitors are finding you and look for keyword clues there. Tip: Write content for your users, not for search engines. Create useful, information rich, and original content for your website without “stuffing” it with keywords, and you’ll find that both users and search engines alike will benefit. Once you build your site, it’s important to continuously create new content. This helps grow the amount and quality of pages that are relevant to your business, as well as ensures your site doesn’t get stale, which is something Google looks down upon. Great content answers the questions your audience is asking in their minds (or out loud), informs and educates, exudes candor and authenticity, and is ultimately captivating. Google looks favorably upon this engaging content that serves the user well and keeps them on your site. 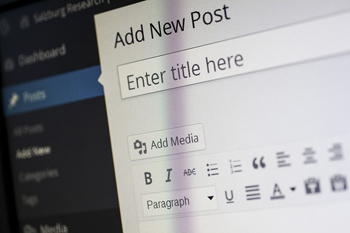 To further support your website content strategy, you can create a blog. Every new post that you publish is an opportunity to target new keywords. These articles can also be promoted and distributed socially to drive additional traffic to your site and help you build authority. The key to effective blogging is to write about the kinds of things your visitors are interested in learning about. Don’t be overly promotional about your own products or services. As mentioned, your content should be authentic and valuable. Tip: You can create links to pages within your own site to help create connections between your content. Inbound links to your website, or backlinks, are created when other websites link back to your website as a relevant resource in support of their content. Obtaining links from vendors or other partners as well as authoritative sites within your industry can send great signals to search engines that your site is relevant. Finding good distribution channels for your content is critical so that your target audience may discover it and ultimately link back to it. Be proactive about promoting your site and content through channels such as social media and engaging with your audience outside of your site and you can really speed up the process of search engines taking notice. You can also contribute quality content to other relevant sites, typically in the form of guest blog posts. The idea behind guest posts is that everyone wins. The site posting your content gets quality content that benefits their audience, while you get to expose yourself to a new audience and position yourself as an authority in your industry. A natural, properly placed link back to your website you also provide a quality inbound link that will benefit your search engine optimization efforts. Tip: Backlinks are no longer about quantity as much as they are about quality. Focus on creating valuable content that earns you relevant backlinks from prestigious sources. It’s important to monitor your metrics to determine what tactics are most effective and uncover new opportunities. Give extra attention to keywords that aren’t moving enough and repeat the steps you took that brought results in the past. You’ll get better as you go and as you build momentum, you’ll see an exponentially increasing impact. Tip: Without reviewing and understanding your metrics you’re working blindfolded. Use tools to help you plan your strategy, manage your tactics and monitor your results. This should serve as a road map for your efforts and help you understand the time and resource commitment that you should expect. Content is really the driving force behind most forms of marketing tactics including SEO, social media, and email marketing. It also is what leads to high converting web pages and helps define your brand. Content that answers the questions your audience is asking in their minds (or out loud). Content that informs and educates, so the audience feels that their time reading it was well spent. Content that tells a story, exudes candor and authenticity, and is ultimately captivating. 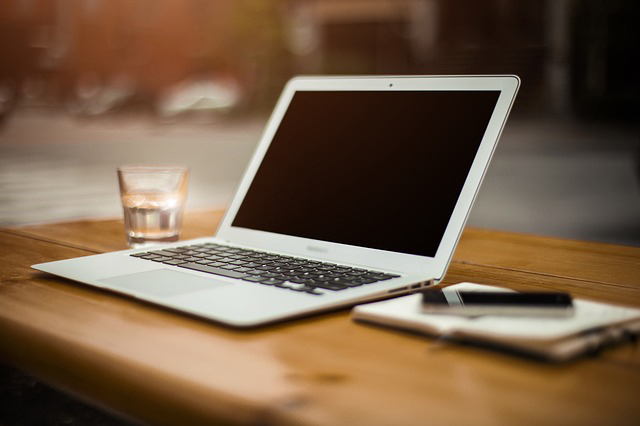 However, the thought of constantly creating high quality content can be daunting to many business owners and even marketing departments who are pressed for time, or even experiencing writer’s block. And hiring a full time staff-writer often isn’t practical. Luckily, there are some great freelance writers that can help fill or supplement your ongoing need for great content. But how do you find a great content writer who can match the tone of your brand and deliver thought-leadership level quality pieces? Find writers who have some familiarity with the subject matter, or who have experience writing at a high level on a variety of subjects. My tip was that if you’re on a tight budget or pressed for time, it helps to find someone who has at least some familiarity with the industry or concept. If you need content on topics that appeals to teenage girls, even a highly capable writer might find it difficult to accurately fit the tone and write authoritatively on the subject if they only have experience writing government policy pieces. Ideally, the content writer should be adaptable and able to cover a variety of topics in a persuasive and compelling way, so that you don’t have to look for different writers when you have new topics to cover. A great content writer should also understand the fundamental marketing and business concepts behind content marketing. They should have a strong grasp of how content is distributed and consumed online, how to craft engaging titles and copy and how to align the content with your specific business goals. There are some telltale signs that you don’t have the right fit as well. A red flag is when there are spelling or grammatical mistakes in direct correspondence, or if they can’t put together a coherent thought. Additionally, like when hiring any freelancer, they should be highly responsive. If you have an ongoing need for content, you don’t want to be constantly chasing after your content writer as your brand suffers. And lastly, I discussed how it’s important to ensure they are not plagiarizing any of the content using simple tools like Google or Copyscape. While it’s perfectly acceptable and recommended to conduct research and reference facts and sources, it’s not acceptable to copy entire thoughts or sections verbatim from another article without attribution. If discovered, this not only damages your brand and credibility, but Google doesn’t give you any love for doing it, either. Whether you’ve selected a content writer or are still deciding between a few candidates, provide a couple options that can serve as test articles to do a final evaluation of their performance before committing to a longer term engagement. It’s important to communicate with your content writer because you know your business and the tone of your brand better than anyone. So don’t just hand them a topic and ask them to start writing. Clearly articulate the style and purpose so that the writer can understand the context and your expectations. With content playing such an important role in your overall marketing strategy, finding a capable freelance content writer to support your efforts will allow you to increase engagement with your customers and potential customers, help define and elevate the authority of your brand, and ultimately should help you grow your business. 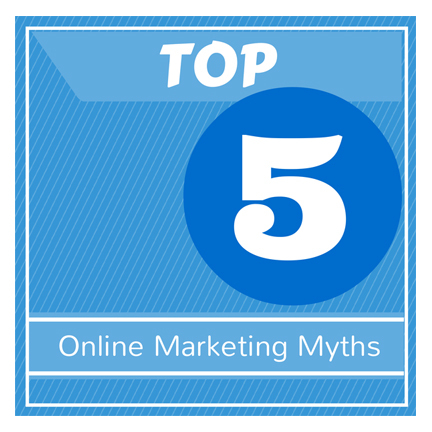 This is probably the #1 online marketing myth that many business owners and entrepreneurs still believe. “All I need to do is post my idea on social media, and it’s definitely going to go viral!” While the internet offers a great and (sometimes) inexpensive medium to get the word out about your company to a potentially large audience, you’re competing with the millions of other companies and websites all vying for attention, mind-share, and wallet-share. So while it absolutely helps to have an exceptional product/service and can even be critical to the long term success of your business, you still need to get the word out and then convert visitors into customers once they are at your site. Apple spent millions (and later billions) advertising the iPhone even though it was a game-changing product. And while it’s great to have viral, easily share-able elements in your marketing, the expectation of your business going viral, or even a reliance on that happening is simply not a marketing plan. First, people have to actually know you exist. Offering a cheaper price than your big name competition doesn’t do any good if no one knows about you. Some of the products I offered through my sites were cheaper than what Amazon.com sold them for. Yet Amazon probably sold 10 times the amount of that product than my company did, because Amazon has far more customers and greater awareness. Cheap prices don’t automatically translate into massive word of mouth, PR and market share. You still have to create awareness using fundamental online marketing tactics and still have to convey a sense of trust and value that goes beyond just offering similar features to a competitor at a lower price. Incidentally, it’s wise to consider if can you still offer such low pricing once you factor in the time and expense associated with creating awareness for your site. [Price shoppers are] higher maintenance, far less loyal, and gone at the drop of a hat when a cheaper option comes along. Plus, if you try to compete for customers on price, a bigger player can always lower their prices to bleed you out of business. We learned that we had to compete on other differentiators. Ones that actually made people want to do business with us because we were the best choice for them, not because we were the cheapest. We needed customers who were motivated by more than price. Tony Hsieh, founder and CEO of Zappos.com has said the same and even stopped offering to price match competitors for these same reasons. There is a big difference between attracting traffic and the right kind of traffic. Getting 100 highly qualified prospects to your website of which 15 become leads or customers is better than 1000 visitors of which 10 become leads or customers. The online marketing myth that says your goal should be to get as many eyeballs as possible on your site is simply not accurate. That’s likely to be expensive and ultimately unproductive. You goal is to create content that has value and appeals to your target audience to attract them to your site and to focus on marketing through channels that you believe will produce relevant prospects. You’ve hired great designers to create a beautiful website. Spent hours coming up with the copy for each page. It’s gone live and your friends and employees you showed it to think it looks great. You’re all set, right? Not even close. If you aren’t expecting to have to consistently create great content and find ways to engage your customer through a variety of channels outside of your site to build an audience, your investment in your attractive new site could be for nothing. It’s a lengthy, time consuming process to start generating meaningful traffic. Make sure you have allocated the time and budget to execute an ongoing online marketing plan. Your great new site will hopefully help convert those visitors into leads and customers, but even the site itself is always a work in progress. At the very least have a presence on the web so that customers, business partners and even potential employees can quickly and easily find out more about your business and the products or services you offer. Ensuring that your presence accurately and reflects your brand can help your business build a relationship with your customers that extends offline. Furthermore, it makes your brand more memorable next time they are in the market for your product or service or passing by your location. Even using your site for non-transactional purposes such as to generate leads or cultivate a mailing list allows you to locate customers online and drive them to your offline business. Finding new customers and engaging existing customers through online channels even for an offline business is critical to the success and growth of your business. What others can you think of? Be sure to leave it in the comments! What Types of Elements Can Be Split Tested? 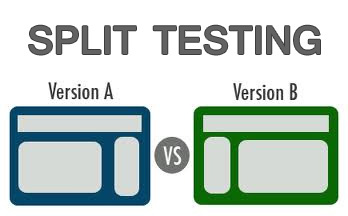 Split testing isn’t only used for testing webpages. It can be very useful for testing your emails as well. You can answer questions such as, What’s the best day to send your email marketing campaign? What time? What kind of subject line works best? Something promotional? (Save 10% on Widgets Today Only!) Or something more subtle and informative? (Find Out How Our New Widget Can Save You Time.) You can set goals such as opens, clicks, or ROI for each email variation. First, make sure you integrated analytics into your emails. Many email service providers such as Mailchimp and Aweber can do this for you automatically and also offer certain reporting capabilities such as the number of opens and clicks directly in their system. You can then set up segments of your email list, perhaps sending one version of an email to 10% of your list and then 10% to another version (or the same version, but at a different time.) You can then see which performed better and send the remaining 80% out using the winning version, or at the winning time. Simplify: generally, fewer page elements create less distractions from the conversion goal. Don’t forget about the overall business goals: test with the overarching goal of the website in mind, not just the goals of individual pages. For example, one page might generate more clicks, but fewer checkout completions. Or, one version of an email might generate more opens, but less sales. Test one element at a time: Testing one element at a time is called A/B testing, while testing multiple elements on a single page is called multivariate testing. Unless you have a testing tool capable of interpreting more complex multivariate results, it’s important to test one element at a time (although you can have multiple variations of this one element.) For example, just change the call to action, or an image on the page, or the position of your testimonials. Otherwise you can’t be sure which element had an impact, and by how much. If you test two elements and one results in an increase on performance of 10%, while the other results in a decrease of 10%, you might assume that the net benefit of your changes is zero; that there was no difference in page performance. In reality, if you only added the positive performing element, you would have seen a 10% increase which could be a big win. It’s not all about drastic changes: Don’t be seduced by the idea that all variations in an A/B test have to be huge, obvious transformations. Even subtle changes can have a demonstrable effect, such as slightly editing a list of product features to persuade users to request more information, or phrasing a call to action differently to drive user engagement. It’s a gradual, granular process. Keep iterating until your conversion rate for that page is maxed out. Don’t make assumptions: Just like a scientist tests a hypothesis, that should be your approach to split testing. Use hard A/B test data to make informed business decisions – no matter how much it surprises you. Resist the temptation to jump to a conclusion: Even if you’re getting strong initial results, let the test run it’s course. Economists and data scientists rely on a principle known as statistical significance to ensure that the data has a high probability of accuracy and this relies on a large data sample. Without it, you run the risk of making business decisions based on bad data. Split testing doesn’t have to be complicated. Services such as Visual Website Optimizer, AB Tasty and Optimizely offer interfaces that allow you to create page variations without touching your website code. Conversion Rate Experts has a great breakdownof the numerous split testing tools and platforms that are available. With easy ways to do split testing of your website and emails, there is no excuse for settling for the status quo. There is always room for improvement throughout your site. So once you find improvements, don’t stop there. Keep testing! Nearly 15 years ago, when I started a company out of my college dorm room at 21 years old (before upgrading to the basement of a townhouse), one of the first things I did was Photoshop our logo onto a stock photo of a big, fancy office building and stick that image on the “About Us” page of the website. The internet, and particularly ecommerce was still new and a bit scary, and most customers sure weren’t interested in handing their personal info over to a website run by some kid out of his apartment. Many entrepreneurs are so enthusiastic about their company, or are so close to it that they assume their audience understands it like they do and is just as interested as they are. Focusing on specifications or a “corporate” descriptions of what you do will be lost on most of your audience, not to mention can come off as self-indulgent and flat-out boring. On the other hand, a compelling and inspiring narrative about what you do, why you do it, and how it will make something better will help attract, captivate and motivate people. How is your product being created? What defines your corporate culture? Why do you do what you do? You’re looking for the things that your organization truly cares about and makes you unique and valuable to the world around you. If you’re having trouble figuring this out, get some insight from your employees and customers. These people interact with your brand; learning what makes your employees value your company and culture and what makes your customers value your products and brand can help you understand how your brand is positioned. 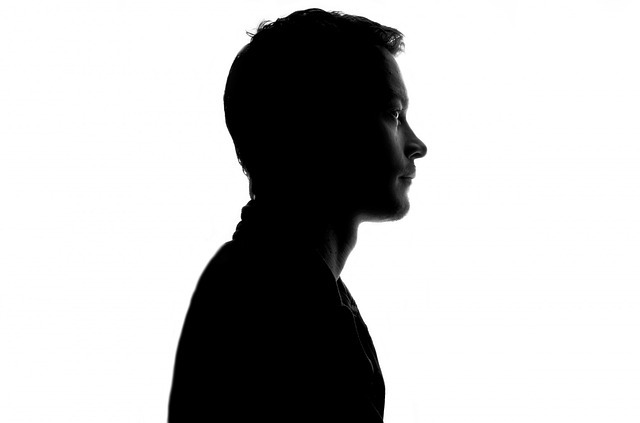 If Your Brand Was a Person, Who Would it Be? Once you know why you matter and how to describe your value, you can create a persona that exemplifies this. If your business was a human being, who would it be, how would it speak, and what would it care about? Are you quirky? Rugged? Analytical? That clarity leads to a real and relatable persona and humanized brand that helps you build a loyal customer base. This authenticity also helps convey openness, integrity and honesty; attributes that can pay big dividends for your business. So it’s critical that all of your staff, particularly those that touch the customer, understand this persona and can accurately match the tone. If you have a strong company culture that is consistent with your brand, this persona should already resonate with the inherent personalities of your staff. Take a hard look at your current content. 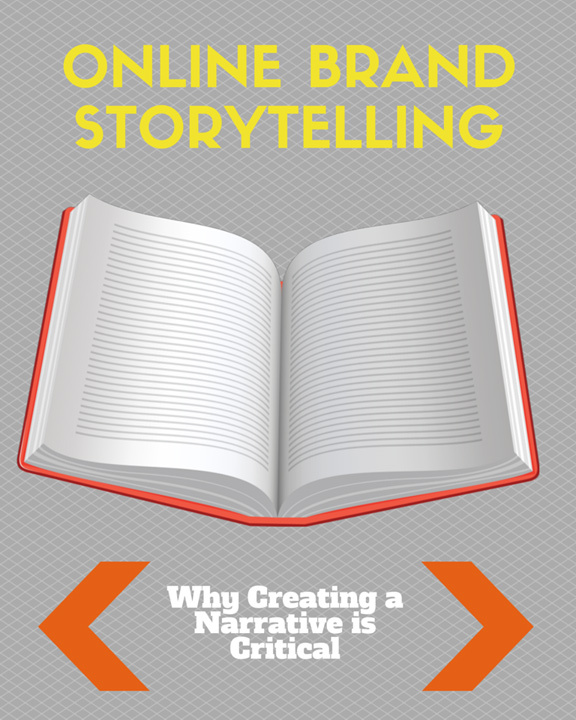 Then think about how you can pull stories out of your organization and weave them into your content in a way that relates to your customer and ultimately builds your brand. We can analyze the website data and draw conclusions from it, but often the fastest and easiest option is to simply ask customers. On site survey software such as Qualaroo or Webengage allow you to create unique (even rules-based) on-site surveys so you can ask a simple, open-ended question like “Is there anything still preventing you from purchasing?” You might be amazed by what they are willing to tell you. On a related note, I also find it irrational when I hear from a company that “We get the same questions from customers over and over again.” I would simply ask, “Have you reviewed your website to make sure the answers to these questions are obvious?” It may be a fix as simple as adding another FAQ, adding additional product specs, or making a button bigger and more noticeable. Look at your customer inquiries. Talk to your customer service staff. They are a great resource to help you get inside the heads of your customers, because they are the ones actually interacting with them. Even reach out to your existing customers and ask them what made them become customers in the first place. Now that you’ve asked the questions, can you use the answers to build a customer profile to get inside their head and understand their concerns? Their uncertainties? Their needs? Imagine if you proactively addressed all of these in your website copy and what that might do for your conversion rates! Rather than marketing “at” your potential customers on your site by rattling off features, you could instead actually be speaking their language and showing that you truly understand them. Your product or service is the solution to whatever problem they are facing or addresses their needs and you can provide it in such a way that they feel comfortable doing business with you. Wouldn’t you be more likely to buy from a company that you thought really understood you and presented a clear value proposition? Retail companies such as Amazon, Zappos, Bonobos, and Apple, as well as service businesses such as Virgin Atlantic (or Virgin America,) Disney theme parks, or USAA (insurance) have long been raising the bar for customer service excellence. Customers have come to expect it, or perhaps even take it for granted. In most industries there is simply too much competition; too many choices for customers to accept anything less than a great experience when dealing with a company. When is the last time a friend bragged to you, “I just ordered from company X and everything came right on time and just as described!” Or, “The waiter at that restaurant was totally fine!” Just meeting expectations doesn’t get anyone talking about your brand. 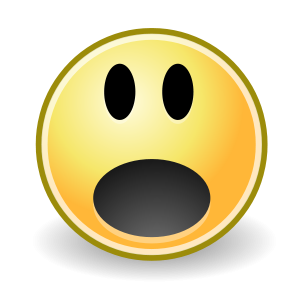 Dramatically exceeding expectations gets customers spreading word of mouth about your brand…and so does dramatically disappointing customers. Don’t Just Be Great. Be Memorable. The truly memorable experiences are when brands surprise you with their service. When I placed an order with Zappos at 11 PM and got my order at 10 AM the next day (back when overnight shipping was standard for everyone,) that was surprising. And I told people. Even though overnight shipping is no longer automatic, Zappos still surprises customers with free upgrades to overnight. When I had dinner at a nice restaurant and the valet had my car waiting for me by the time I got out the front door because the host had radioed ahead to tell him that I was on my way out, that was surprising. And I told people about that, too. (It was Flagler Steakhouse in Palm Beach, to give them credit.) Those experiences stick with you and that is what branding is all about. At my previous company, I created a proprietary system that took digital photographs of each order as it was packed for shipping and additionally recorded the name of the person who packed it. This served multiple purposes. It allowed us to verify the contents of each shipment in the event that a customer claimed there was a mistake with the shipment. It recorded how many shipments were packed by each member of our shipping staff so that we could track various efficiency metrics. But the main reason I built it was so that we could surprise our customers with something they had never seen before from other retailers and provide a memorable customer service experience tied to our brand. When customers received an email informing them that their package had shipped, they didn’t just get a tracking number. They got a personalized email telling them who packed their shipment as well as a picture showing their items in a box ready to be sealed and shipped. And our customers wrote about how surprised they were to receive the photograph in their email. Not just to us, but posted it on other sites as well, resulting in great word of mouth marketing. Once You Raise the Bar, You’re Left Holding it There. 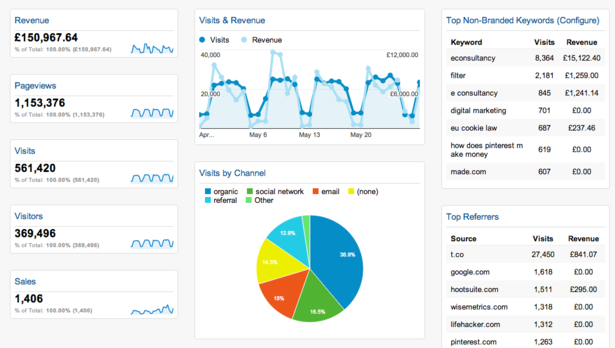 Google Analytics can be overwhelming in that it provides so much data and reporting options. Particularly with inexperienced users, you can get lost for hours sifting through it in order to find key, actionable metrics to improve your website ROI. While there are numerous other useful reports that can provide important insight into specific user behavior and provide clues about how to improve website ROI, for small businesses with limited time and resources, start with the simple, “low-hanging fruit” and you might be amazed by the results. 1. How much traffic am I getting? Obviously the most basic question is how many people are actually visiting my site. While in theory you might want this to be consistently increasing and generally as high as possible, keep in mind that for practical purposes you will want to understand more details about this traffic and focus on attracting relevant, targeted visitors to maximize your website ROI…particularly if you are paying for any or most of your traffic. Additionally, if you have very low traffic, it will be more difficult and time consuming to optimize your site because it takes longer to accumulate enough data to get statistically relevant reports. High traffic means you can make constant tweaks and quickly see if they are having an impact. Your overall traffic is an aggregate baseline from which to measure your efforts against. 2. What is my conversion rate? 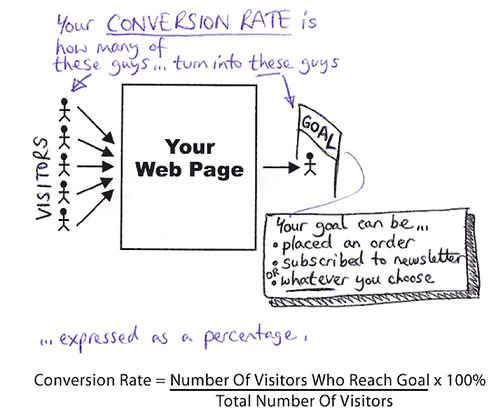 I blogged previously about how important conversion rate is to website ROI. In analytics, you can track numerous goals, from making a purchase, signing up for a newsletter, or “liking” your page on Facebook to even watching a video or increasing the amount of time users are spending on a page. You can set up multiple goals for your site and track how well your site is converting. You can even track which sources of traffic or pages are converting best (and worst) and make adjustments as needed. 3. What is my bounce rate? Bounce Rate is the percentage of visitors that land on a particular page, visit no other pages in your site, but instead leave your site completely. Typically this means a visitor didn’t find anything related to what they were interested in or intended to find at your site. For example, they searched for shoes and landed on a page of your site that sells umbrellas, so they left without exploring anything on your site. Investigate the sources of the traffic visiting your high-bounce rate pages and tweak the content to better match what customers are looking for or to help them find a path towards potentially relevant content on your site. 4. Where is my traffic coming from? Your traffic comes from a variety of sources, including search (organic or paid,) direct (they type in your URL or click from a newsletter,) or referral (clicking a link from another site.) You can learn where your visitors are coming from, which websites are sending you the most traffic, which keywords are sending you the most traffic, and which source is sending you the most traffic. This is extremely valuable to identify potential marketing targets for your offerings, whether it’s sites within a particular industry, keywords to focus on for SEO, or how your email and social media marketing is performing for you. If you are getting other sites to link to yours, you can also use tracking URLs to help you easily identify these sources in your analytics and track their performance. 5. What search terms are people using to find my site? Uncovering what terms people are using to find your site can help you understand what they are looking for (and make sure you are offering it,) trigger ideas of new content or products to add, and where to focus your efforts for additional search engine optimization. There have been some changes to the way Google provides organic search term data in analytics where most keyword data is missing (AKA “not provided”). 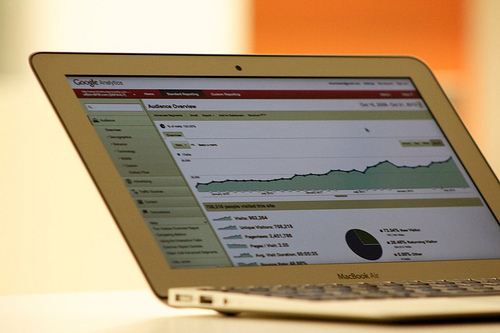 KISSmetrics has some good tips to uncover those missing organic terms. 6. What are the most popular pages on my site? Looking at the most popular pages on your site can help you determine where to concentrate on for conversion optimization (start with the most popular pages that have a lot of room for performance improvement,) how to best merchandize your site, or where to focus your efforts expanding your marketing. Finding and focusing on your most popular content first will help you see a quick boost to your website ROI. 7. Which pages do customers most often land at when they arrive to my site? A landing or entry page is any page on a website where traffic is sent (or naturally arrives at as the result of a search of clicking on a link) specifically to prompt a certain action or result. Sometimes you may want to set up specific, customized landing pages where you will intentionally direct traffic that originates from certain sources (an email campaign, a banner campaign, etc.) Other times an entry page may simply be a search engine or site linking to a specific page within your website other than your homepage. To maximize website ROI, make sure your landing pages and top entry pages are optimized to convert a lead or at least push them down the conversion path. 8. From which pages are customers most often leaving the site? Exit Pages are the pages from which visitors leave your website. That sounds a bit like “bounce rate,” right? The difference is that the visitor may have been to other pages on your site before exiting, whereas when a visitor “bounces,” they only viewed the one page they landed on. Which pages are your visitors most often finding a dead end? To improve your website ROI, it’s important to understand where they are getting stuck or hitting dead-ends and make adjustments that help move them through your funnel towards your goal. The longer you work with your analytics to optimize your website ROI, the more questions you will have, causing the depth and complexity of those questions to deepen. You can then start to expand into new areas or even create custom reports and segments of traffic particular to your business. Remember, these incremental changes you make to your site have a compound effect that can really start to snowball as you continue to make improvements. Additionally, investing in optimizing your website means that the improvements in ROI will not only be lasting, but have a positive impact on every new marketing tactic you deploy. Fellow entrepreneur, Inc. 5000 honoree and proponent of small business marketing ideas, Mike “Self Employed King” Kawula, posted a list of 19 Creative Marketing Ideas to Grow Your Business. I was happy to be asked to contribute some thoughts on PR to the list and enjoyed reading other small business marketing ideas on networking, web marketing, leveraging customer loyalty and other practical ideas for small business owners. I use many of these small business marketing ideas myself and many can be done without a huge commitment of time resources. Conversion rate is simply the percentage of visitors to your website that achieve a certain goal that you set as your objective. Your objective might be making a purchase of a product, filling out a contact form, signing up for a mailing list, registering for your site, or whatever else you are trying to achieve. If you are spending time and money to draw visitors to your website, increasing your conversion rate may be the single most important metric to focus on to grow your business and improve ROI. Yet many businesses don’t focus on this and instead just spend more time and money trying to attract new customers, when they aren’t maximizing the customers they already have at their site! Customers are walking in on their own and browsing the racks. But instead of your sales staff tending to them, making suggestions, trying to convince them that they would look great in that new dress they are eyeing, and helping them check out, they are all standing outside holding up posters asking random strangers on the street to come inside the store. How many of those customers who were just a small step away from becoming a paying customer might instead walk out empty-handed? It’s easy to see a similar impact in nurturing the customers on your website. As a website operator, you might spend 5 hours writing a newsletter for your company or you spend $500 on a banner advertisement on a relevant website with the objective of acquiring new customers. If you double your conversion rate, that very same 5 hours you spent or the same $500 would actually generate twice as many new customers. And it’s not a one time thing, either. When you improve your overall site conversion rate, every piece of marketing that you do will provide a better ROI, forever! Because every newsletter you send, every advertisement you run, every visitor is now being driven to a better performing website that achieves more of your goals with the exact same amount of effort. Ok, what else can conversion rate optimization do for me? Conversion rate optimization doesn’t just help increase the ROI of your existing traffic, it creates great new opportunities for increased marketing to really accelerate your growth. All businesses should have a target cost per acquisition (CPA) which is the amount it costs you to get a visitor to achieve your goal. If you get 100 new registrations for your website from an advertisement that costs $1000, your cost per acquisition is $10. If you spend $12 on pay per click search ads to get one new customer, your cost is – you guessed right – $12. Your target cost per acquisition is influenced by your margin, overhead and lifetime customer value. A simple example would be if you’re selling dresses for $100 and your cost is $50, perhaps you’re willing to pay up to $25 to obtain a new customer, leaving $25 in gross profit to cover your other business expenses and have some profit left over. As your conversion rate increases, your cost per acquisition decreases. Doubling your conversion rate means the $1000 that used to get you 100 new registrations now gets you 200. The PPC ads that used to require $12 to get a new customer now only cost you $6. With PPC bidding getting more and more competitive, conversion rate optimization can be absolutely critical in maintaining profitability. Think about how many new keywords you wanted to bid on or other ad campaigns you wanted to run to acquire more customers, but they were just too darn expensive. You’re thinking, “I’d love to be there, but there’s just no way I can justify the cost of that ad if I’m only getting 1% of my site visitors to convert.” When you increase your conversion rate, all of a sudden ad campaigns that were once unable to produce a sufficient ROI now are affordable, helping you to grow your revenue and scale your business faster. How do I improve my conversion rate? Don’t get discouraged. These small incremental changes really start to build over time and have an exponential impact. Stay tuned for new posts on some great ways to test and find ways to perform conversion rate optimization or contact ME to help you with your conversion rate optimization. Looking for an Online Expert that Understands the Big Picture? Someone with strength and experience in marketing, business strategy, operations, and sales? That can put all the pieces together to break through the online clutter and generate real results?